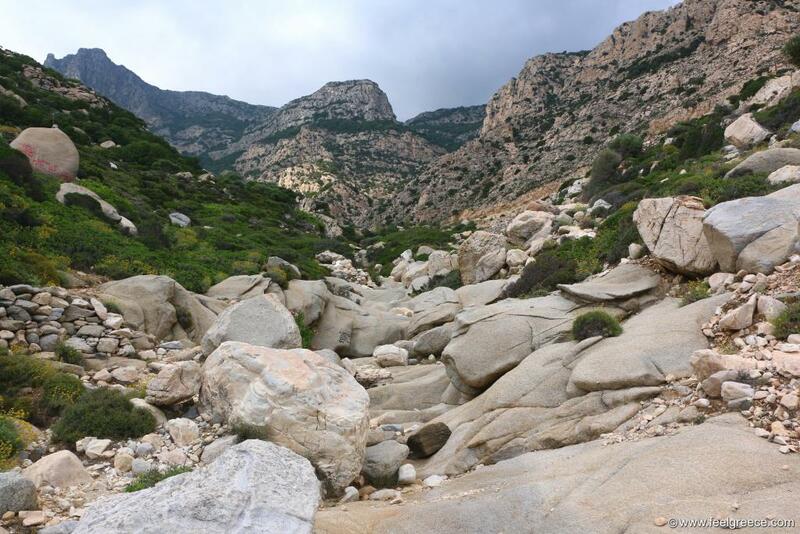 Since Ikaria gained popularity as one of the Blue Zones of the world where people live much longer, it has been welcoming an increasing number of tourists in search for the secrets of this mountainous island. Still undeveloped and not that easy to explore, Ikaria can surprise you with vast sandy beaches, colorful villages, wild goats running on the road and with the Seychelles Beach. Its name comes from the bright blue color of the sea due to the white pebbles covering the sea bottom and the shore around it. You can`t visit the island and miss this beach though it needs some walking on rough terrain. The Seychelles beach appeared as a result of landslide less than 30 years ago and no matter you can read somewhere it was the island`s best kept secret, it had no time to become such. Also, the locals have marked the parking place and the path leading down to the sea so it isn`t hard to find at all. The Seychelles beach lies on the south coast of Ikaria, in the least developed area of the island where the high rocky mountains slope down to the sea and where the road ends in the isolated village of Manganitis. As soon as you pass the small tunnel, you will recognize the starting point with the cars parked aside and the big letters painted on the road. The path is uneven and slippery from the stones but the distance is not more than 300 meters, it takes as much time as you find proper for yourselves. The final part is the most difficult - the path ends above the beach and you need to slide down on a large rock. Once there, the beach will mesmerize you with the white pebbles sparkling in the sun and highly contrasting to the blue sea. The imposing cliffs still remind of the landslide with the scattered rock pieces and the cave-like openings where people hide from the heat. These photos were taken in June but in July and August it may not be as tranquil as shown here or elsewhere. These rocks tell you that you are almost there. Time to slide a bit down.